The loss of villages and homes has long been a contentious issue for the tribes and the United States. Countless meetings and discussions have occurred over the decades with little resolution. The tribes have always insisted that as long as the Columbia River dams exist, the United States has a continuing obligation to mitigate for the dams’ impacts. For the tribes, these impacts include not only effects on anadromous fish and water quality, but also the loss of villages, homes, and fishing access along the river. The U.S. Army Corps of Engineers built four dams on the mainstem Columbia River that inundated the four treaty tribes’ usual and accustomed fishing places and fishing villages along the Columbia Gorge. Under Public Laws 79-14 and 100-581, Title IV, Congress designated federal lands and directed the Army Corps of Engineers to acquire private lands to provide for tribal member access to usual and accustomed fishing areas and to provide infrastructure for camping, fishing access and ancillary fishing facilities. While the Army Corps of Engineers completed construction of the treaty fishing access sites in 2011, the federal agency has an on-going obligation to analyze and undertake remediation and mitigation projects, including infrastructure development for the cultural, social, environmental, religious and traditional practices lost to the tribes because of federal hydroelectric development of the river. Federal development of the Columbia River has resulted in persistent poverty and unhealthy and unsafe living conditions for the tribes’ members living along the river. Currently the most urgent need is for housing and housing infrastructure. The problem of affordable and safe housing is affecting fishing access sites. Tribal members without other alternatives are using the access sites either for temporary or year-round residency. This is causing numerous problems, such as overcrowding, over-burdened utilities and an unanticipated level of maintenance and wear. In recent years, the problem has become a crisis. 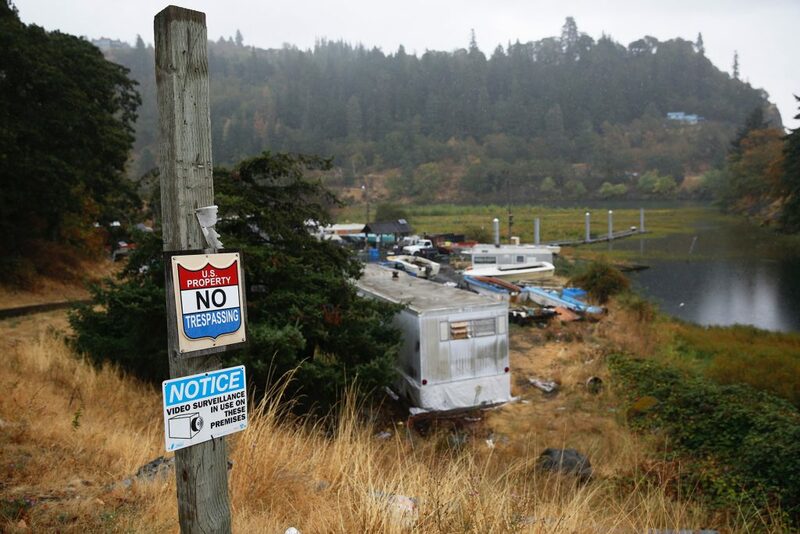 The Oregonian newspaper produced the feature series on the issue Decrepit fish camps built on broken promises which subsequently attracted Congressional attention. Several US Representatives and Senators toured the sites to see the conditions firsthand. After their tour, Rep. Earl Blumenauer and Senator Jeff Merkley wrote an opinion editorial that was published in the Oregonian. With Congressional attention and Corps of Engineers commitments, the tribes were cautiously optimistic that their years of waiting and living in limbo were nearing an end. It was therefore painful to find out that the current administration decided not to grant money to complete the planning of a village near The Dalles, Oregon. If you are interested in contacting your Congressional representatives on this issue, visit https://whoismyrepresentative.com to find their contact information. 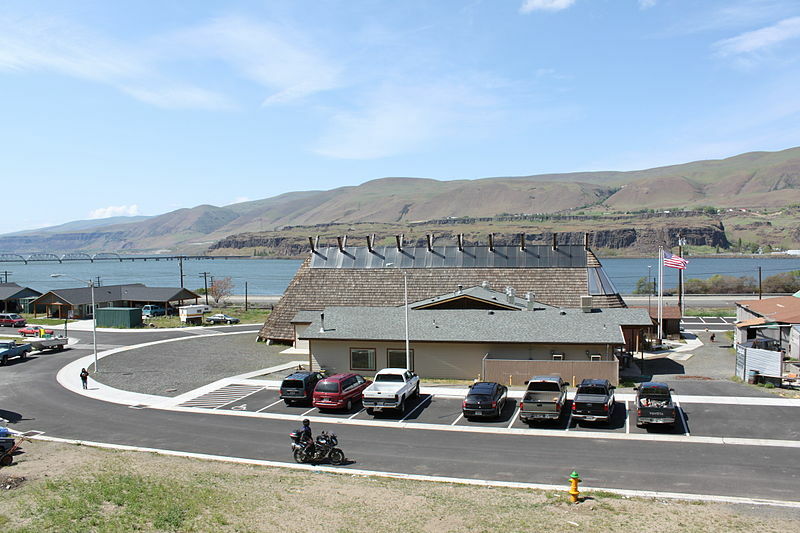 In response to resolutions from the four CRITFC member tribes to study tribal housing and infrastructure needs along the Columbia River, the US Army Corps of Engineers conducted a fact-finding review in 2013 of unresolved housing claims related to construction of Bonneville and The Dalles dams. This project collected and reviewed applicable federal statutes, reports, and design documents along with Indian Claims Commission records and records provided by tribal governments. It also reviewed administrative and physical considerations that affect tribal housing development, identified potential solutions to provide on-river housing, and resulted in a final report for consideration by the Corps. The project involved the input of tribal government officials, housing staff, and members of the tribal communities along the river. A series of monthly meetings took place during the year-long project to inform the tribes of findings and progress on the review as well as to gather input to further the project. 2016 Corps Discovered they had existing authority under the 1950 Flood Control Act to work on a new village to compensate for The Dalles Dam. June 2016 Yakama and Warm Springs resolutions to coordinate in the creation of an intertribal Columbia River Tribally Designated Housing Entity (TDHE). 2017: CRITFC secured funding from Meyer Memorial Trust to assist tribes in development of TDHE and contracted with NAYA and ATNI to coordinate the effort. The tribes made a formal request to Oregon and Washington Congressional delegation to familiarize themselves with the history and events leading to the current housing crisis and to support Corps of Engineers funding to address this federal obligation.